I am so delighted with this product. 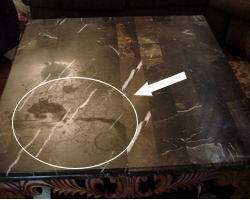 Just wanted to let u know that I was able to remove 2 very etched spots on my marble coffee table put there at least 3 yrs ago. I've used other products with no success. Very impressed. Thanks. Carolyn, I just wanted to let you know that I used the product last weekend and the results were better than I could have imagined. You have a great product and I've already recommended it to a friend. 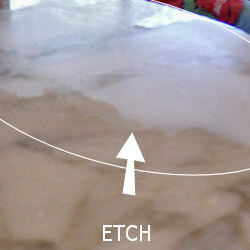 My wife was stunned how I was able to bring the shine and luster back to her marble countertop. It is wonderful to use a product that actually does what it is advertised to do. My bathroom floor has its high gloss luster back thanks to your product. I am very pleased. Hello-- I had purchased a free-standing vanity with a marble top to put in our new basement bathroom. The guys installed it before I had a chance to see it. When I cleaned it off and really looked at it, I noticed some very prominent etch marks - the whole surface was completely dull and lifeless looking. It was too late-- the top was already glued to the vanity and also to the wall that I had spent 3 hours faux finishing, and would've caused a huge problem and a huge touch-up job. I didn't even want to think about ripping it off and sending it back for a new one!!!! I tried 3 different brands of products from the local stores, and nothing touched it. I found your website thru a Google search, and I bought the kit with marble polish, stone polish and the daily cleaner as a last-chance effort to save the vanity top. I can't tell you how happy I am with the results!! The marble polish was like a magical powder that made the etch marks vanish into thin air, and the whole thing is now shiny and new looking-- like it should have been when I purchased it. With just a little pressure, the powder removed those etch marks and allowed the beautiful lines of the natural marble to come thru. As a final touch, the polish made it just that much more beautiful, and now the daily cleaner is all I will trust to touch the vanity top. Thank you for your wonderful products!! I would recommend that anyone try this before calling in a professional or going thru the expense and trouble of replacing their marble. Jen R.
Thank you very much for the speedy response! Have a great weekend! Just wanted to let you know I purchased the marble polishing pwd as I had an etch mark on my sink top where something acidic had sat and leaked. I used your product and the mark is gone!!!! I love the enhancer- it is amazing. Should you seal or polish first? Seal first! Hi Carolyn, Thanks so much for your prompt reply & great advice! I'm going to order the mildew cleaner & soap scum remover now! The stuff is amazing, and saved me $600 to get my countertop replaced! The fabricator did a very poor honing job and the surface was very uneven in coloration. The color enhancer produced a darker, uniform color that looks great, doesn't show marks as prominently and still gives me that wonderful honed sheen. 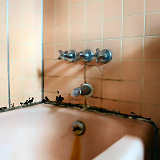 Thank you, Marie C.
Eric Bright from Just Answer recommended MB-9 for mildew and soap scum on my cultured marble shower. Hi Carolyn, I'm overjoyed that the polishing powder took out the OJ stain in the tiles. And, the shine is coming back on the matted tiles. 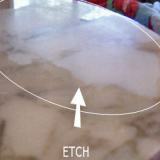 No expensive marble restoration services needed. Used the polishing powder on a 4 square foot area of marble floor etched by cat puke. Now he can puke on the marble any time he wants. Hi, Just wanted to say that the product I ordered, polishing powder, to get etching off of my marble fireplace worked fantastically - it did exactly what it said it would do! The purchase of the marble polishing powder was a last ditch effort to get some water marks off of black marble and your product worked. 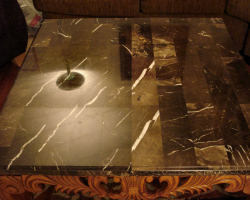 I love the product and would recommend it to anyone that is considering hiring a marble specialist to fix their problem. Try this product first!!!! Unbelievable product. I had poured drain cleaner in my black marble bathroom sink and it discolored/etched the marble. Your cleaner and polish brought it back to its original finish. Thanks, too, for the prompt service in shipping the product so quickly. I have recommended you to several friends. Hello... Thank you for sending my order so quickly !!!! I panic when I am running out of the cleaner which keeps my granite clean and shiny!!!!! I ordered a larger amount this time. That product is without a doubt the safest cleaner (just as you promised) to use daily on granite. Thanks again and I will be back for more! 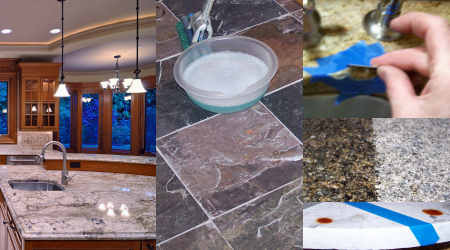 I have used your products on my granite counter and bar tops from the first day of installation and have been very pleased with the ease of use and excellent results. Certainly I will order again in the future, and thanks again for the free shipping offer! Thank you for checking on my order of MB 11 polishing powder. My bathroom travertine counter top went from being an eyesore and irritant, to pure joy, and it was so easy. All the dull areas have disappeared and the whole top has a wonderful, clean sheen. I love it! Yes, you certainly can use this testimony in your information. I ordered your marble polishing powder to restore our limestone vanity counter. It was badly etched as a result of using commercial bathroom cleaning product on it (contrary to care instructions). I had already spent $$$ on various products that were touted to do the job, but did not. I am so pleased to say that with very little work and elbow grease, my counter is again beautiful. THANK YOU. I've used your product, MB-11 Marble Polishing Powder, on my marble floor. It really works! Got rid of some orange juice stains with it. Thank you very much! Customer review on MB-11 Marble Polishing Powder. Just wanted to say that I think your products are great. My husband and I installed our granite countertops ourselves, (so of course we sealed them ourselves also) and that sealer is wonderful! Your follow-up and professionalism were a 10! Carolyn, Thank you! You must add to your list that Mystique Brown CAN be repaired by your product, the marble polishing powder. THANK YOU!! Thank you for fantastic service! The speed with which I received my products literally made my head spin. I am impressed with service as well as the granite care items I ordered. I will definitely order again and will recommend your company to all my friends and co-workers. I received your product last week and to be honest, this was my last attempt to restore my black marble counter tops myself. I thought that the only solution was to remove and replace them. I can't even begin to tell you how pleased I am with the results I achieved with your product marble polishing powder. I was most impressed that no special tools or equipment were needed and it did not even require a lot of "elbow grease". I am not in the habit of saying thank you for a product that actually does what was promised. After all, that is what one pays for. In your case I had to make an exception. I ordered your marble repair kit, it's wonderful, just wanted you to know I was very impressed with the results, THANK YOU... THANK YOU !! I just wanted to let you know the product worked as promised. I had tried at least four other cleaners on my natural stone shower, all of which claimed to remove mildew, however none worked. The mildew remover worked wonders on my shower. 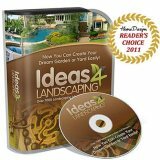 I was looking for something to polish the marble tiles in my outdoor grill system which had dulled in the sun. OTC products from the local Ace Hardware did nothing but emphasize the dull finish. Your marble repair kit was great - I worked my way up from the grit through the liquid polish and the results were outstanding!! I just wanted to say "Thank you" for my natural stone products. I love them!!! I have tried other products in the past and nothing compares to yours. Thank you, the soap film remover works GREAT. Carolyn, I received the color enhancer and tried it out. It works great. A huge difference! The granite looks deeper and the color is better. I'm ordering the kit tonight. Thanks again. Just a BIG thanks for your AWESOME service and products! It's rare to find such Great service now days and you guyz ROCK! Dear Carolyn: Thank you for your great service. I ordered a different product from another company (****************) the same day. They still haven't delivered the product and they've charged me 3 times in error for one order! I was very impressed with your quick delivery and the federal express delivery status that was emailed to me. With your exceptional service, I will definitely order from your company again. Good product, the sealer works well. Looking forward to no re-app for 10 years... thanks. I purchased the stone enhancer and I want to let you know I am beyond pleased with this product. I used granite tiles and as you all know the sides, any part of the granite that has been cut, and the backs of the tile are a weird grey color. When the tiles were butted up against one another these weird grey ends were exposed making for an unattractive finished product. After one application I could tell it was a wonderful product. I applied another coat and the ruff grey colored edges look almost identical to the pre-polished front of the granite tile. I would definitely recommend this product to anyone who wants their natural stone to always have that wet look. Thanks a bunch I am a totally satisfied customer. Thank you for the product...it has brightened my granite countertops and adds a nice shine to them. Bought your granite cleaner to remove hard water stains on my counter tops - worked wonderfully! Thanks! Thanks so much. I really appreciate your help... I will certainly refer others to your website in the future. Carolyn... Thanks for all of the advice, as well as providing us with some great information about granite and granite care. I only wish we had found you prior to choosing a granite fabricator. We love the liquid stone polish... it brings out the deep rich colors of our Blue Pearl counter tops like we've never seen before! A million thanks for recommending this product! We love the cleaner. It's so easy to use and provides simply daily care to our granite and it keeps the granite looking spotless! Thanks for the fantastic service! The expedited shipping really helped me out, and I was able to complete my project on a tight schedule. The product appears to be quite effective. Water now pools nicely on the surface and does not penetrate the stone at all! Thank you very much for sharing your wonderful experience and helpful information. I am so impressed with your efficient customer services and the enthusiasm in your profession. Okay I can't even begin to tell you how happy I am. Beyond ecstatic. Hubby had brought home a acid cleaner for the stone. He said the contractor who installed our travertine tiles said it would be fine. It etched the tiles resulting in dry patches of this dull finish. We just moved home into our newly renovated house and I was sad beyond belief. I tried the polishing powder followed by the cleaner. Oh my gosh it looks like it did when we installed it. It all matches. "FedEx claims that this package was delivered to my home at 8:08 -- I was home and there has been no such package! Please help!" Thanks! I really like the cleaner - it smells nice and works great! Thank you. I will order the floor cleaner and also thanks or saving my husbands life..LOL. I thought I was going to murgalize him!! Hey Gang! Just wanted to Thank you for your awesome stone care soap film remover! I have a new client with a Huge Marble Shower that was just covered with Water Stains. I know how delicate Marble is and your product has got most of the stains off. I will certainly spread the word! Thanks so much for the email... the countertops look FABULOUS!! The product definitely did enhance the color. I actually ended up using 3 coats. Thank you. I used my product and found it very effective to remove hard water stains. Contact Us with your questions, comments, suggestions, complaints or kudos.